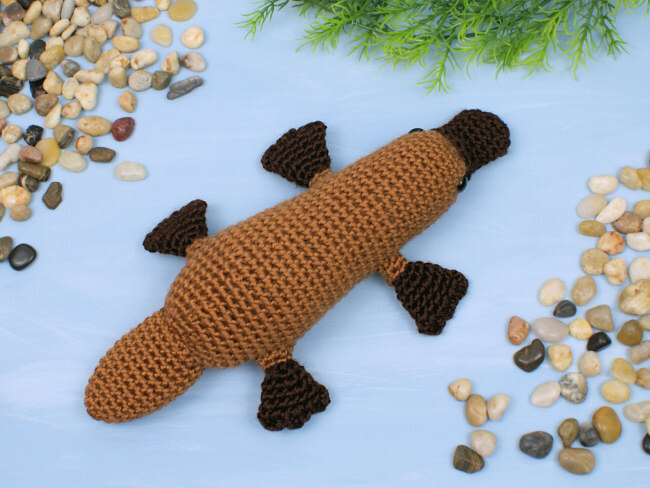 An original crochet amigurumi Platypus pattern by June Gilbank. 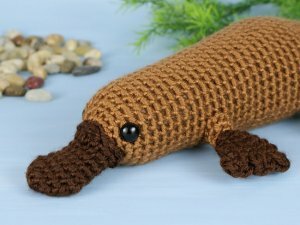 Platypus (Ornithorhynchus anatinus) are only found in eastern Australia. They are semi-aquatic monotremes (egg-laying mammals). They live in burrows and hunt for their food (insects and shellfish) along river bottoms. Date Added: 05/31/2018 by Aleksandra S.
Date Added: 04/13/2017 by Josh C.
Date Added: 12/09/2016 by Beverly H.
Date Added: 02/05/2016 by Jackie M.
Date Added: 03/30/2015 by Simone N.
Date Added: 10/31/2014 by Rebecca D.
Date Added: 08/21/2012 by Judy C.
Date Added: 05/12/2012 by Sandra G.
Date Added: 05/04/2012 by Chrisie M.
Date Added: 05/01/2012 by Monica B.